PVC arches are fashioned for wedding and party decoration foundations. They are also combined in rows to build greenhouse and high-tunnel framing or as a form in earth-bag construction. The height and strength of a PVC arch is adjusted for its intended use. The same technique is used, with larger components, to build bigger arches. Single PVC arches, employed as a decorative base, may need to be strapped or tethered to keep them stable. Dig two 2-inch holes with a trowel. Space the holes 6 feet apart or adjust for the size arch you want. Embed two 6-inch pieces of 1-inch PVC into these holes. Leave 4 inches above the ground. Firmly pack the soil around the pipe. 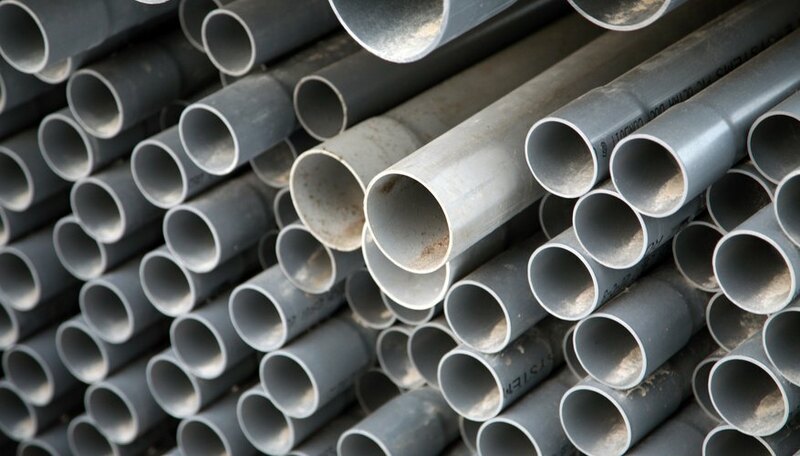 Drive a 2-foot-long stake of 3/8-inch rebar into each embedded PVC pipe. Use a heavy hammer to pound the rebar into the ground, keeping it vertical, until it is level with the top of the plastic pipe. Cut a 6-inch piece of 1-inch PVC pipe. With a hacksaw, divide this piece lengthwise, to create two halves. These are collar pieces to connect the arch. Cut 1/2-inch PVC into two lengths that are each 5 feet long. Place a hose clamp around each of the 5-foot pieces of PVC. Put the 5-foot pieces of PVC into the 1-inch pipes filled with rebar. Bend the two 5-foot sections of PVC to form an arch and secure the collar halves at the apex with a hose clamp on each end. Tighten the clamps with a screwdriver. Indoor PVC arches can be embedded in earth-filled bags.